People with Alzheimer’s disease (AD) tend to experience significantly fragmented sleep patterns that suggest underlying problems with their circadian clocks. A study published today in JAMA Neurology suggests that these changes in sleep patterns begin long before people show cognitive symptoms of AD. “Our findings suggest that circadian dysfunction could contribute to the earliest stages of AD pathogenesis, and that understanding this association could open the door to new diagnostic and therapeutic strategies,” wrote lead author Erik Musiek, M.D., Ph.D., of Washington University School of Medicine and colleagues. Musiek and colleagues assessed 189 cognitively normal older adults who were participating in longitudinal studies of memory and aging at the Washington University Knight Alzheimer’s Disease Research Center. The participants were all given wrist activity monitors, which measured a range of sleep parameters for 7 to 14 days. The participants also underwent amyloid beta imaging and had cerebrospinal fluid (CSF) analyzed to determine if they had preclinical AD (Previous studies have shown that amyloid plaque pathology in the brain precedes symptomatic cognitive impairment by 15 to 20 years). Of the 189 participants in the study, 139 were amyloid negative. 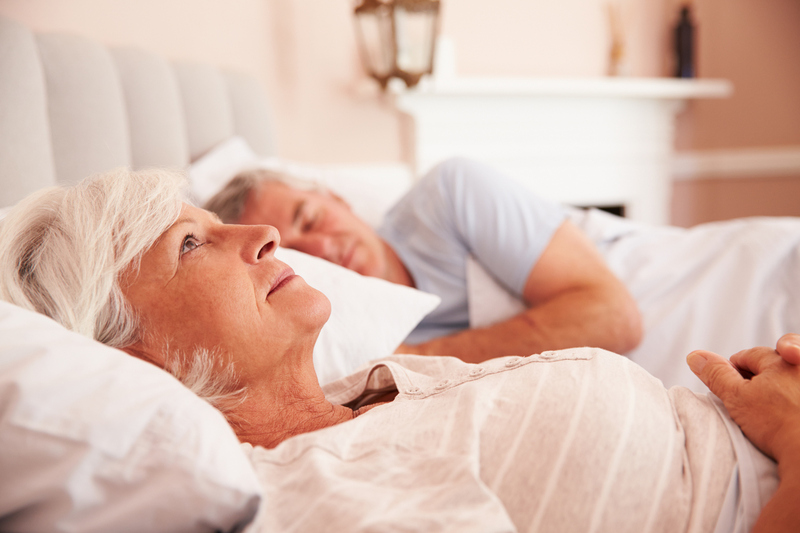 The authors found that several measures of sleep disturbances were associated with positive amyloid status, even after factoring in sleep problems associated with older age. “Among the several circadian endpoints examined, we found that the nonparametric IV [intradaily variability] index was most consistently sensitive to both aging and AD pathology,” Musiek and colleagues wrote. “Intradaily variability was designed to detect fragmentation of rest-activity rhythm, suggestive of more periods of daytime rest (or sleep) and increased nighttime activity (or wake).” The authors also noted that interdaily stability, which measures how consistent circadian rhythms are on a day-to-day basis, increased with older age, but only in amyloid-positive participants. Time is running out for you to vote in the APA 2018 Election. Learn about the voting process and meet the candidates for President-elect, Treasurer, Trustee-at-Large, and more. Click here to vote now.